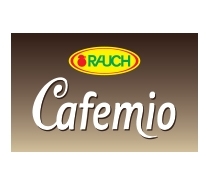 Rauch is a Austrian beverage company based in Rankweil. It was founded in 1919. 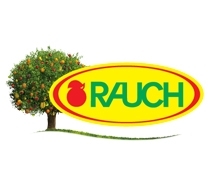 Rauch brand is particularly known for producing a range of juices. 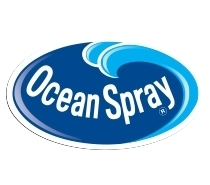 The company exports products to about 50 countries and also offers private-label production services. 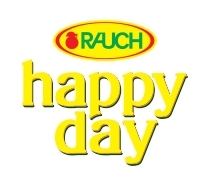 Rauch HAPPY DAY stands for highest, constant quality of selected and inspected commodities, from the orange juice to the apple and multivitamin juices to the exotic mango and the oriental pomegranate! BRAVO stands for creative compositions of a variety of exotic as well as local sorts of fruits and berries. 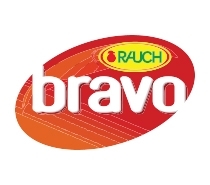 BRAVO fruit drinks are the ideal thirst quencher and guarantee a fruity change with constantly new ideas and exciting experiences of flavour. 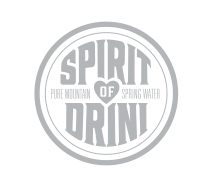 The brand for all who like young, free & fruity. Fruity nectars and drinks rich in vitamins, nutrients and mineral nutrients for more vitality guarantee highest fruit pleasure, always and everywhere. Rauch Yippy in super colorful bottles with a fun mascot and in a wide variety of flavors. The ideal companion for fun and games! When it comes to fruity flavor experiences, Rauch is on the tip of everyone's tongue. 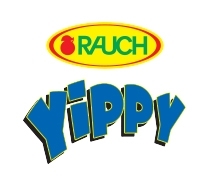 Rauch Yippy, a cheeky new fruit juice especially for 4 to 10-year-olds with Calcium and Vitamins that make this product a winner and with absolutely no preservatives. Enjoy the Italian taste and the creamy composition of Cafemio and let yourself be transported to a world full of finest coffee enjoyment! Find out your personal favorite from both Cafemio classics, Cappuccino and Macchiato, with their clearly distinguishable colors and their attractive design! 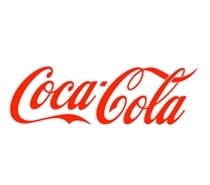 The Coca-Cola Company is the world's largest beverage company, refreshing consumers with more than 500 sparkling and still brands. Coca-Cola is the most popular and biggest-selling soft drink in history, as well as the best-known brand in the world. The Carlsberg Group is a Danish brewing company founded in 1847 by J. C. Jacobsen with headquarters located in Copenhagen, Denmark. 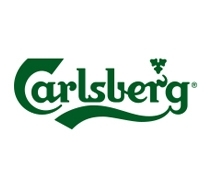 Carlsberg is the flagship beer brand in Carlsberg Group's portfolio of more than 500 brands. It is a 5% abv pilsner beer with a global distribution to 140 markets. 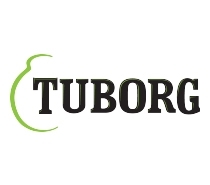 Tuborg is a Danish brewing company founded in 1873 by Carl Frederik Tietgen. Since 1970 it has been part of Carlsberg. Today, it makes lager for global export, as well as a variety of continental styles for both domestic and foreign markets. 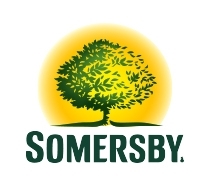 Somersby Cider is a refreshing cider made from fermented apple juice and natural apple flavoring. 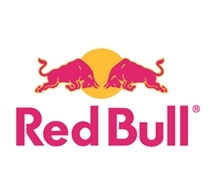 No artificial sweeteners, flavors or colorings. Somersby cider is a brand of 4.5% abv cider by Danish brewing company Carlsberg Group. Developed in 2008 it was originally developed for the Danish market, but today has been launched in more than 35 markets. Trebjesa Brewery is the only brewery in Montenegro. It is based in Nikšić, and is owned by Molson Coors. 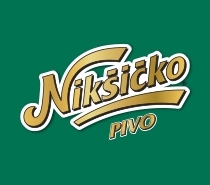 It produces a small range of pale lagers under the "Nik" brand name. Beer from Trebjesa brewery is by far most popular and most consumed beer in Montenegro. Efes Beverage Group was founded in Turkey in 1969. 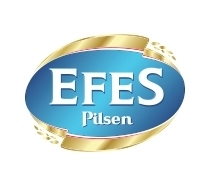 The flagship product is Efes Pilsen. Even though rice does not contribute any flavor in a fermented beverage, claims have been that it gets its unique taste from rice added into the ingredients at brewing stage. 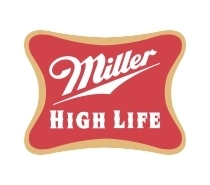 The Miller Brewing Company is an American beer brewing company owned by SABMiller. Its regional headquarters is located in Milwaukee, Wisconsin. Miller Brewing Company was founded in 1855 by Frederick Miller when he purchased the small Plank-Road Brewery. 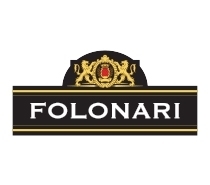 Folonari was founded in 1825 by Francesco Folonari, in the Veneto Region of Italy. From the very beginning, the founders wanted to create wines that are accessible for everyday occasions. Careful grape selection from the best vineyards, combined with the best vinification techniques, produce wines of exceptional quality. From our award winning Chianti to our exemplary Pinot Grigio, Folonari brings you the passion of Italy in every bottle. 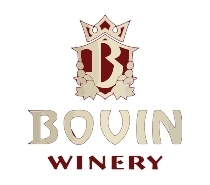 Bovin Winery is the first private owned winery in Macedonia . 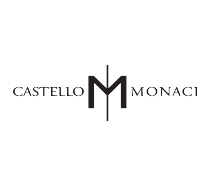 The company was established in 1998, the year when 120.000 bottles of high quality white and red wines were produced. It is these wines which Bovin was represented by on 1999 Agro-Expo Fair in Skopje where "Venus" earned in the champion title in the category of red wines, whereas all the other Bovin wines were awarded golden medals. At the gates of Salice Salentino, surrounded by centuries-old vegetation, are located the vineyards of Castello Monaci. 200 hectares of land with a pedological profile characterized by two layers, one nearer the surface, finer and richer, which has a considerable influence on the roots and a rocky layer which ensures good drainage of excess water. 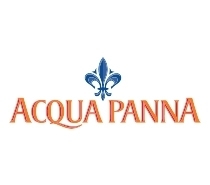 Acqua Panna natural mineral water flows from the Apennines Mountains inside the very heart of the picturesque Tuscan landscape. Here, sheltered by uncontaminated nature since Renaissance times, it continues to surface in all its purity, in a perfect setting, as it has done for centuries. Bottled at the source, Acqua Panna reaches the finest tables around the world as pure as it came from its springs. San Pellegrino is an Italian brand of mineral water, and assorted real-fruit beverages made from it, with naturally occurring carbonation and additional carbonation added by the bottler, produced and bottled by Nestlé at San Pellegrino Terme, in the Province of Bergamo, Lombardy, Italy. Arla Foods is a Swedish-Danish cooperative based in Århus, Denmark, and the largest producer of dairy products in Scandinavia. Arla Foods is the seventh largest dairy company in the world measured by turnover. Among the cooperative dairy companies Arla is the third largest in the world. 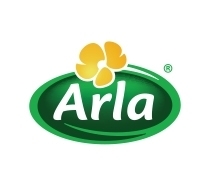 Arla Foods has three major brands: Arla, Lurpak and Castello cheeses that are sold worldwide. Zvečevo is chocolate you grew up with and the first chocolate with rice in the world, which was copied across the world. Zvečevo is more than a factory, more than a company. Zvečevo is a family member. 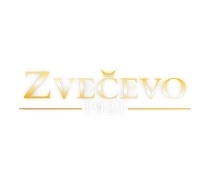 Both in the local market and in the neighboring countries’ markets, Zvečevo has built up a firm position, owing to other strong brands of chocolate and spirits as well. 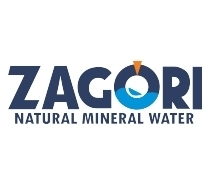 The Natural Mineral Water “ZAGORI” is concentrated beneath the earth’s surface in natural aquiferous basins, on the slopes of the relief of Pindos massif, in one of the most picturesque, protected and pristine regions of Greece, the region of Zagorochoria. During its long “journey” towards and inside the underground soil layers, undergoes the changes to its physical and chemical composition, acquiring its unique characteristics. 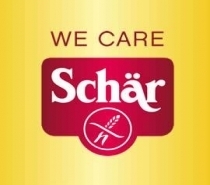 The European market leader with the widest range of basic, dried and frozen gluten-free food products. With TEEKANNE Herbal Wellness Tea you can feel good knowing you’re enjoying nature’s best infusions. We use only the highest quality and most flavorful ingredients, gently processed to preserve the all-natural properties of the carefully selected fruits and herbs. 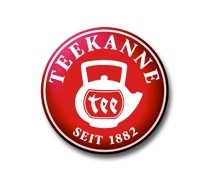 TEEKANNE Herbal Wellness Tea offers the kind of quality you can expect—"All From One Source" guaranteed. Italcaffè S.p.A. is an Italian coffee-roasting company whose factory and head office are located in Italy, the homeland of the real Italian Espresso. We employ the most advanced roasting technologies thus ensuring you the excellent quality of our products, Italcaffè has a high-tech plant for vacuum packaging of its blends of coffee ground and in beans. 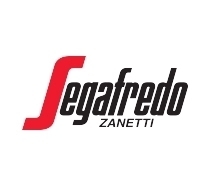 Segafredo Zanetti is now the leading Espresso producer in Italy and throughout the world, with more than 70,000 clients and 50 million cups of espresso drunk each day. Its mission is to spread the taste, the culture and preparation method of the true Italian Espresso to the whole world. 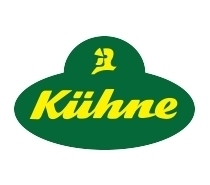 The Kühne brand stands for high quality, fresh tasting products, and is one of today’s best known and most popular brands in Germany. The great trust that this premium brand enjoys also brings responsibility: On the basis of the highest quality standards Kühne packaging are only filled with selected ingredients. 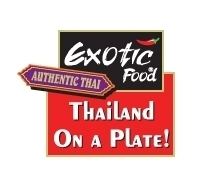 Exotic Food was founded in 1999, began by selling a few dozen core items. Today, the brand encompasses more than 200 Thai food and beverage products, available at stores around the world in more than 62 countries and counting. Lezita with forty years of history behind industrialism's signature Abalıoğlu the leader of the feed industry. As the first private sector organization to feed our country with factories in Denizli in 1969 with the pioneering nature Abalıoğlu Group investment of time since that day the Turkish feed industry is sitting on the peak as the market leader. 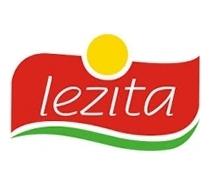 Abalıoğlu has given Lezita also moved and under our brand name of Turkey's largest and most modern integrated facilities industrialism country and entrepreneurial spirit that continues for forty years in the food industry with a complete integration of consciousness. 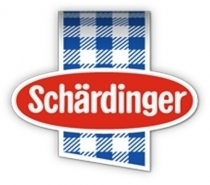 Schardinger is known Austrian brand of premium quality of these products: milk, cheese, yogurt and other daily products ..